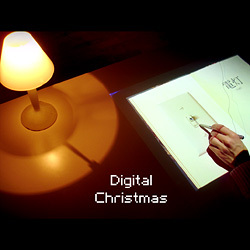 Digital Christmas was an online experiment which ran for one year. 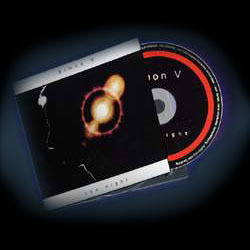 Every 24th each month you could download inspiring music from simonv.com. Features included the wonderful vocal talents of Shoot The Kitten and Laura Ryhänen. Enjoy this present and send in your feedback! Rinse - June/July 2005: "Possibly the most intuitive album of the year, this album stands out in class and production quality. With tracks that work well enough on the dancefloor or in the bedroom, the depth involved in every tune blows practically everything else in this issue out of the water. [...] Coming right out of left field, "Because We Can" is this year's forerunner for album of the year. I can't see it getting mass amounts of play, but musically-speaking, it's unprecedented." This album is a best-of tracked music from 1995 to 1998, also including my first Santorin Vinyl releases. I especially re-worked every single track and made sure that the sound quality is top notch. As for the concept and title: Imagine the whole night beginning from late afternoon until the early hours. The CD starts with a slow Ambient track while you can see the sunlight fading, just before you make yourself ready for the club on a normal weekend. Sometime later, you log on the Internet to check emails and chat a bit. During your way to the club, the car audio systems gets penetrated by rough experimental sounds. Upon arrival, the DJ's are starting out with some fresh Drum'n'Bass tunes taking you to the peak hours when Pulse Code gets played and you just can't stop dancing. Looking at the watch, you'll notice it's already 5am in the morning when you're leaving the club making yourself speechless on your way home. This is "One Night"! My first electronic album from June 1996, released on the Internet. It might not be up to my current production standards, but it does have some nice melodies. The beautiful interface work only under DOS and with an old Soundblaster soundcard or Gravis Ultrasound.